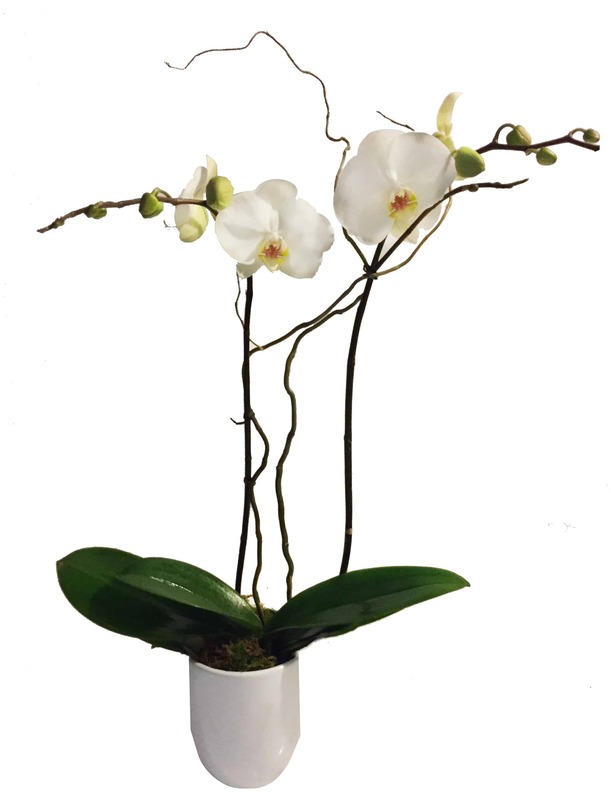 This boutique Phalaenopsis orchid plant comes housed in a ceramic, square container with moss. It's a very contemporary piece that is sure to last! It can celebrate a great moment in life or decorate any room by adding a touch of elegance!